I began B. B. Mackey Books nearly 30 years ago with just one self-published book for flower gardeners. Now I work with a number of excellent authors and publish helpful books on varied garden subjects. Click here for details about all the current books. Several have won major awards and all are informative and user friendly. Although several wholesalers sell my books, I also sell them directly to book resellers such as garden centers, garden clubs, bookstores, and gift shops, as well as to libraries. My standard wholesale discount is 40% with a minimum order of any three books. Media Mail shipping to USA addresses is free. For other kinds of shipping or for more than 50 books, please email me for terms. I can snail mail or email you a comprehensive wholesale book list and order form. Many titles from B. B. Mackey Books are available and easily ordered through Ingram Book Distribution and Baker and Taylor, on their terms, for libraries and resellers. 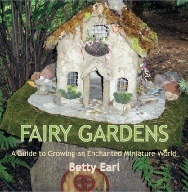 One of the our most popular books with gift shops and other stores is the new book, FAIRY GARDENS: A GUIDE TO GROWING AN ENCHANTED MINIATURE WORLD, by Betty Earl. Its recommended list price is $21.95, but here it sells wholesale at $13 per copy. If you are a reseller of books, you can use this purchase button to order copies of Fairy Gardens and pay with Paypal. Major credit Cards are accepted through the Paypal purchase button. You will see a drop-down menu offering various quantities from 3 to 10. 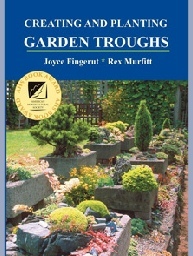 There is also a wholesale purchase button for the award-winning trough book by Joyce Fingerut and Rex Murfitt. The recommended list price is $23 per copy, but it is selling wholesale here for $13.50 per copy. For USA resellers only, use these special Paypal order forms to purchase a minimum of three copies of Fairy Gardens at the wholesale price of $13 apiece. Media Mail shipping to any USA address is included. The drop-down menu options combine for the number you need. 3 or more copies of Creating and Planting Garden Troughs at the wholesale price of $13.50 apiece.